Step 2: Go Out, Do It. One of the joys of working at Ski Magazine was that I was paid to test skis!!! Ski manufacturers shipped skis to our lab for testing and when it was completed, the skis were covered with self-adhesive shelf-paper and numbered so the testers couldn’t identify the ski. Mother Nature dictated our location and we didn’t want to test at the same area Skiing used. One year we started at Mount Hood but weather and poor snow forced a move to Mammoth before we settled on Park City the following year. Areas were picked that could give testers access to a lift that served terrain suitable to our needs. To create a hard, icy surface, the area allowed us to spread ammonium nitrate on the snow to create a hard frozen granular. For racing skis, we set up a NASTAR type course with thirty gates and applied ammonium nitrate to make it rock hard. Racing skis were tested just like the others before we pulled them aside for the days when we would ring them out on a racecourse. Our contract testers – six men and four women – and me were all certified instructors with either coaching and/or racing experience. 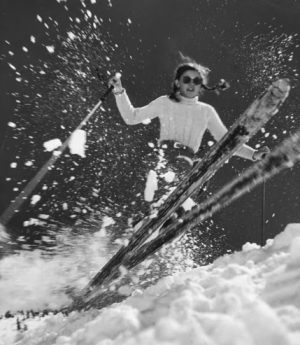 John Perryman and his wife Joan were expert skiers and were part of the test team. 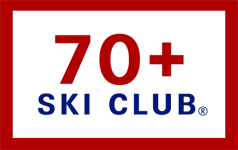 We wanted strong skiers who could ski consistently and could handle a ski without changing their technique. To get it right, it wasn’t about blasting down the mountain on one ski after another. SKIpp demanded a disciplined methodology. Each year, we reviewed the on-snow maneuvers designed to replicate how beginners through experts skied. Because some brands were putting their name under clear P-Tex, testers were not allowed to pick up the ski prior to skiing on them. 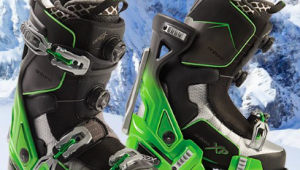 To help ensure that each ski was tested the same way, the methodology was designed to minimize the tendency of a tester to adapt his/her technique to the ski. Testers were limited to two runs per ski. The tester came to the tent to score the test ski and write his or her comments before taking another ski. Each day we tested ten skis because we learned beyond that it became hard to differentiate each ski’s performance. In the evening, skis were prepped for the next day and the day’s data tabulated. Even though it was preliminary, we were pleasantly surprised at how well the on snow results compared to the lab’s prediction. Testing ten skis took us to lunch. For the afternoon, the testers could pick a ski from that day or prior days to enjoy. It was tough, demanding skiing, but somebody had to do it! Marc: I have not thought of John Perryman in so long…wow I do miss this approach. I understand that John Howe had some negative comments about the “bench” testing being done at room temperature. But not being the engineer that John was I still thought that the test was consistent and still had value because the playing field was level. John was a very, very good engineer and an equally good skier. One of the “things” he was best at was looking at a complex technical problem and break it down into component parts that could be evaluated. He would do it in such a way that the analysis could be put back together like Lego bricks into a final product. Several manufacturers contested his methodology, claiming it was not valid, but after many calls, presentations, discussions, and meetings, they acknowledged his analysis was spot on.